The final segment of Charles Ruas and Susan Howe's 1976 memorial to V.R. "Bunny" Lang concludes with a radio staging of the late writer's play, I Too Have Lived in Arcadia. The production included performances by Marion Seldes, Ruth Ford, Earl Hyman, and Ruas. Howe was the narrator. The evening celebrating Bunny followed the post mortem publication of her poems and plays, including Arcadia, entitled V.R. Lang: A Memoir. The play was originally written and performed while Bunny was an active with Cambridge's The Poets Theater, in the fall of 1954. The play follows a man has he exiles himself to the isles of Nova Scotia. Once there, he is haunted by the women of his past; each acting as his consciousness of sorts. The script is rich with imagery and symbolism. The characters are simple on the surface but complex in meaning. Massachusetts native, V.R. "Bunny" Lang was a poet, playwright, and actress. She was the founding editor of the Chicago Review and was a pivotal player in the establishment of Cambridge's The Poets' Theater. Bunny was active in the Canadian Women’s Army Corps during WWII and the New York School of Poets, after the war. She is often mentioned in O'Hara's poems. Her work was published widely in periodicals and publications including; V.R. 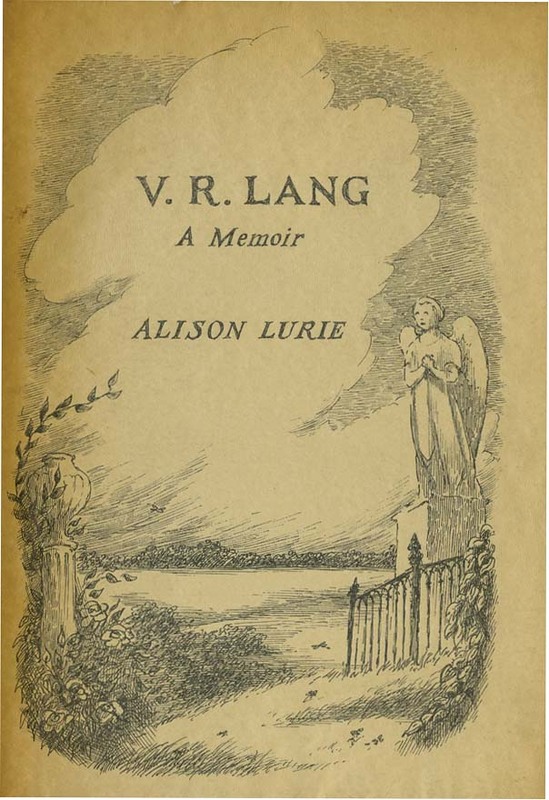 Lang: Poems and Plays, With a Memoir by Alison Lurie (1975). She died of Hodgkin's disease at the age of 32.